Exactly right! Cliched sayings are useless here- people always judge a book by its cover. First, a little background on how you can get a cover. Like most self-publishing printers, CreateSpace gives you three options for cover design: pay a professional to design a custom cover, use a template and public domain images to make your own in Cover Creator, or do the whole thing yourself. At this point, all other bloggers (and cover designers) will stop and yell at you in all caps that IF YOU DON’T HAVE A DEGREE IN GRAPHIC DESIGN, KEEP YOUR STICKY PAWS OFF YOUR OWN COVER. And they are terribly wrong. I’ve never taken a Photoshop course in my life, but I design my own covers, which usually do the trick. I don’t obey what the other “professionals” tell me. I do what I want. However… if you are terrible at using Paint.net or hate art, you will only give yourself a headache trying to make a cover, and the result may not be as clean as what you’d get with a professional artist or with Cover Creator. Think critically and decide upon the best investment for you. But, to answer your other questions, Elly, today we’ll go through the process of how I design covers. Better buckle up; this could be a long ride. Make lists, scribble lines, ask your sister for ideas… whatever gets you thinking. I admit that drawing your own art can be scary. I draw lots of pictures, make lots of mistakes, and design lots of prototypes that end up being utterly worthless. But, as my own darling Turomar says, “That is planning- discarding enough ideas until you find a good one.” Here are some preliminary concepts for Alen’s War (and Son of Ren for the purpose of illustration). Hint: I draw concept art in pencil first! Honestly, people, if I’m brave enough to put some of my scribblings on the internet, you should be brave enough to draw your own ideas for yourself. Just keep drawing whatever comes to mind. Even if you do end up hiring someone else to make the cover, you can at least have some ideas to show them. Be sure to save and scan a copy of all of your final drawings for the next step. I sounded like Heraclitus there, didn’t I? But when I say elements, I’m talking about the individual pictures on the cover. For Alen’s War, this means drawing a ship and a map; for Son of Ren, a shield. Don’t worry about text just yet. For now, focus on making the elements as clean and uniform as possible, and again, save the new versions separately from the old concept art. If all else fails, find some public domain images that you can use instead. I drew the colored part by hand, then I traced the dark lines and added text on the computer. I just traced my own concept art and filled in the lines with a brush tool on my editing program. Advance apologies for all the links. Amazon has a lot of wordy specifications. One thing to notice here is that Amazon KDP is talking about this kind of cover, but CreateSpace needs this kind. To figure out the dimensions, you can use this handy little tool, which gives you the template you’ll need in step 4. Or if you, like me, find it easier to do algebra than to use that beast they call a PDF template, you can do the math yourself. (The calculation isn’t blog-post-friendly, but if you want the equation, email me through this page and I’ll send you some numbers.) Once you have the relevant numbers, simply create an image with those dimensions. At this point, I also add some lines to mark where the spine starts and stops- as shown here– which can be erased later. Once I have done that, the worst is behind us. From here on out it is nothing but a good deal of fun. 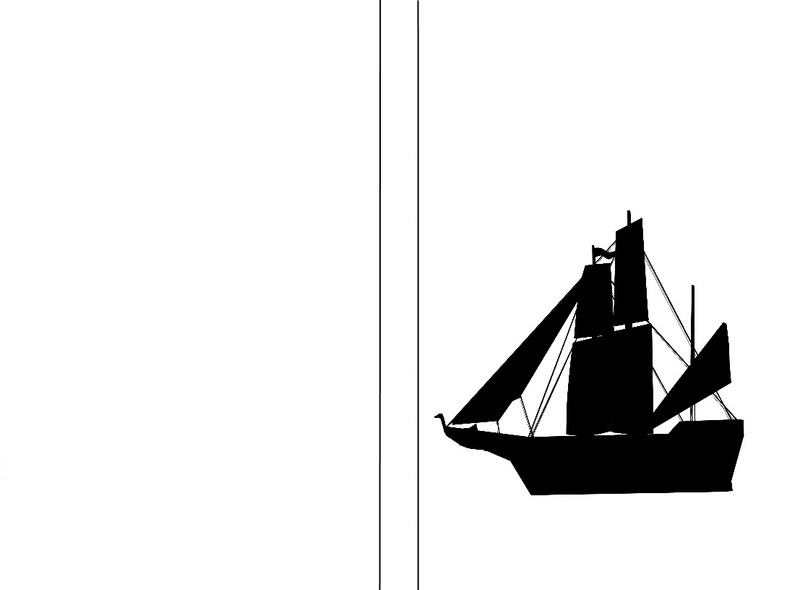 First, in Paint.net (the free version of Photoshop), I add the ship image to the blank template- it basically looks like this– and save it as a flat (.jpg) file. Then it’s over to Picmonkey. Oh, yes, you could arguably use Paint.net to do the whole cover. But where would be the fun in that, eh? Picmonkey is more user-friendly. Next I upload my own texture (the cross-stitch icon); in this case, the map. Picmonkey allows me to decide exactly how much of the map I want to show and to what degree, and I usually make my backgrounds just barely visible. I do a few more touch-ups to make sure everything is in the right place and save an updated copy of the cover. Finally, I play with the different Picmonkey textures and colors. Being a fantasy writer, I’m partial to Smudge and Paint, but all of the textures are useful for one purpose or another. Feel free to save different versions of the cover (in high-def!) and be sure to get feedback from your beta-readers and other artistic friends. You heard me right. Inevitably, someone will have last-minute opinions or improvements, or maybe CreateSpace is being a little bit particular about DPI and other trite. Anyway, if you saved a copy of your cover at every stage, it shouldn’t be too hard to fix. Congratulations to you all who made it this far- not only have you read one of my longest posts ever written, but you also are brave enough at least to try your hand at designing your own cover. Do you have any questions about self-publishing a book? Marketing, blogging, cover design details? Share in the comments! Self-Publishing Part 3: How Long Now? I’m just wondering how long the self-publishing process takes, roughly? Good question- by which I mean that the answer is a tricky thing. The time can vary hugely, depending on the length of your book, how much work you do as opposed to outsourcing, what kind of self-publishing you choose, etc. Fortunately, I can help you form a fair estimate by giving you a fairly typical picture of the process in ten not-so-easy steps. For the sake of demonstration, I’ll estimate longer rather than shorter as far as time is concerned. Maybe it goes without saying. This step can take any amount of time: something between one NaNo competition to a lifetime of edits. However, for the student or working adult who writes for a few hours every day, it usually takes no more than a few years. 2: Decide which way to publish. We covered this one last week. Choose whether you will use true self-publishing, print-on-demand, ebook, online, or a combination of them. You know, this is one of the hardest step, at least for us perfectionists; making a final decision is never quite easy. Taking a few months to research and consider is a good idea. We’ll talk about this all-important component next week. However, you ought to start thinking about covers as soon as possible, preferably while you’re editing your novel. Covers take no less than three or four weeks in most cases, and probably longer, even if you don’t want to make changes to the first version. 4: Learn about the publishing process. Read articles and tutorials, seek out insider tips, learn about possible problems and solutions… in short, become an expert on self-publishing. And hey, you’re already off to a good start. The best advice? Don’t ever stop researching until you are ready to stop publishing books. The more you know, the better. 5: Format your manuscript according to the guidelines. This is another easy step- unless, of course, Google Drive is giving you trouble about italics and headings. 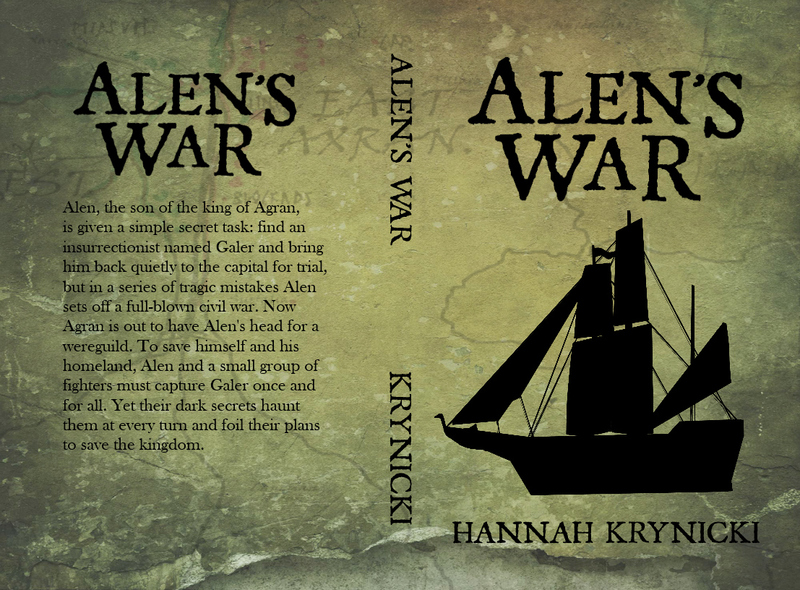 I underwent this nightmare with Alen’s War and… well, I got very good at italicizing things. But, all formatting nightmares aside, it only takes a few weeks at most to search out the guidelines for your publishing house or printer and make your manuscript fit (see my collection of links at the bottom). 6: Set up your title information, get an ISBN, etc. This one is pretty easy, at least with CreateSpace. You only need an ISBN if you want your book to be sold in regular bookstores or purchased by libraries, therefore online publishing and Kindle don’t require ISBNs. This only takes as long as you need to click a few buttons or make phone calls (see the links for more ISBN help). Estimated time: 1 day if you’re lazy. 7: Upload or submit your files. Pretty straightforward in most cases. CreateSpace, for example, requires a Word (.docx) file or something like it, and most other publishers stick to straightforward formats. This takes just a few minutes for online upload, a few days for package mailing (if your publisher even does that). Estimated time: the rest of aforementioned 1 day. 8: Proofread, final review, proofread again, approve for publishing. This is the craziest part. You proofread your document and get other people to help you. In CreateSpace’s case, you have to submit your files for them to review for potential issues. Once you are satisfied, you approve the book for publishing/printing. I’ve found that a few weeks to a month is an ideal slot of time for proofing. Estimated time: 3 weeks for a print book; a day or so for an ebook. 9: Go a little loco. Comedian Tim Hawkins expressed this step pretty well. Estimated time: a lifetime of satisfaction in your creation. So how long does self-publishing take? As I said, it’s a hard thing to estimate, and some people take more or less time than the average. 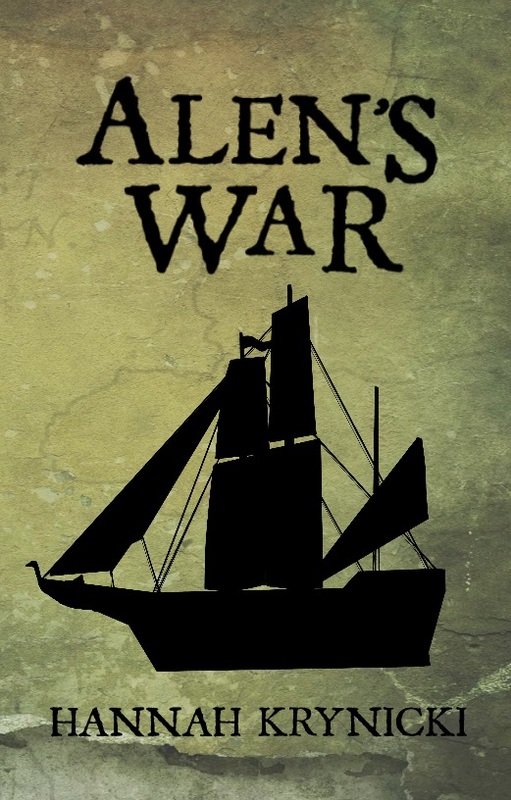 For example, Alen’s War took me less than a year, plus pre-writing development. Son of Ren was longer; that little thing was in idea development for at least three years before I actually wrote anything. That said, though, according to my rough estimate, the time it takes a non-vocational writer to produce a novel is approximately 3 years and 6 months. And there you have it, Caity. What self-publishing questions do you have left? I want to help you answer them, so ask away in the comments! Hubspot’s guide to making an ebook. It’s not a writing curriculum by any means, but it has good formatting tips and templates. General guidelines to formatting manuscripts. Self-publishers usually follow the same rules, except that they don’t put their name on every single page. Lulu: should you get an ISBN? Here, I hope! In the next month or so, I hope to offer people an actual teen writer’s experience, which may not be as thorough as a professional publisher or more experienced author, but which is probably more relatable for most people. To round it out, I will also share my favorite resources from other respectable websites and publishers under the “Want to know more?” section at the end of every post. Would you recommend self-publishing? Why and for whom? What are the pros and cons of self-publishing? To be fair, he didn’t mean it that way; he really thought it would be a good business move. However, he really captured what most people, including authors, think about the world of self-publishing. We don’t know how or even if it actually works. So- who should consider self-publishing? Well, imagine this common scenario: a teenager named Hannah is an unpublished writer with a newly-completed manuscript for Son of Ren in hand, and she is looking for some way to publish it. Hannah knows she can sell so many books if only she has a good publisher name on the cover. That’s how it works, right? So Hannah turns to the Big Five and the Christian publishers to find out how to submit a query letter. The only problem is that the Big Five aren’t looking for a sixteen-year-old nerd waving her debut manuscript, so, instead of a submission page, all of their websites say: “Please don’t send us your peasant manuscript unless you have been on a New York Times Bestseller list.” Christian publishers can’t help, either; they are looking for fiction about Christianity, not alternate-universe fantasy by Christians. As a last resort, our stubborn young Hannah sends queries to all of the other publishers listed on websites and in books for teen writers and authors of fantasy. And guess what? The publishers don’t reply. Hannah’s demographic- new authors, teens, or anyone else without a writing degree- is the group for which self-publishing is most valuable. I don’t believe that the traditional publishing system is rigged against new authors; but I don’t believe it was built for us, either. Self-publishing fills in the gap and often provides a step into the traditional publishing world. Now would be a good time for the indispensable pros and cons list. Self publishing, as we have seen, gives new authors a chance to share good books even when other publishers won’t consider them based on lack of credentials. Self-publishing often provides the first step to getting a regular publishing contract– in the rarest cases, with the Big Five. These authors are some good examples (even if some of the books are worthless). 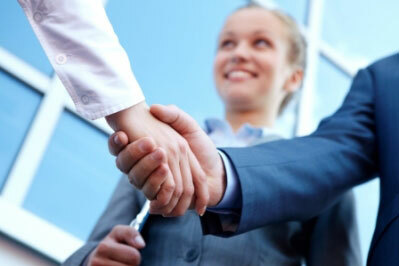 You get your name out there, and if you do a good job, you open your opportunities. Finally, self-publishing lets you broaden your experience. I have learned so much about the publishing world, as well as marketing, communications, business, eBook design, and many other skills I can’t even count. And even if you only self-publish one book, you can apply some of your indie know-how to most other fields. When it comes to making money, self publishing is either a lot of hard work or quite expensive. It’s a lot of hard work when you want to save money, and so you do all the cover design, editing, marketing, etc. yourself. Or, it’s expensive when you opt to hire experts to do that stuff for you. The market for self-published books, particularly Kindle books, has a huge supply that is larger than demand. Consequently, it’s harder to get readers to choose your eBook over all the other millions of books available with the click of a button. Long story short: you really have to market the thing yourself. And therefore- I cannot say this loudly or often enough- you are not guaranteed to make lots of money by publishing any which way. I’ve heard of many people who made lots of money by publishing traditionally as well as by using Amazon Kindle, but those are just the ones who became famous. They’re anomalies, like the stars of Hollywood. The reason you haven’t heard of those people who only sold a hundred or so copies is because… well. Those are the big ones, but you can read the links below for more pros-cons lists. So, Greta, if you have a quality book to share, if you can learn how to do a thing or two on your own, if you are willing to do a little research… maybe you ought to try indie publishing. Do you have any publishing questions? Agencies, cover design, marketing, stress eating? Hopefully not the last one. Ask it in the comments! Bing.com: “self publishing vs traditional publishing.” For this post alone, virtually any article that comes up in a search is useful, so check those out.